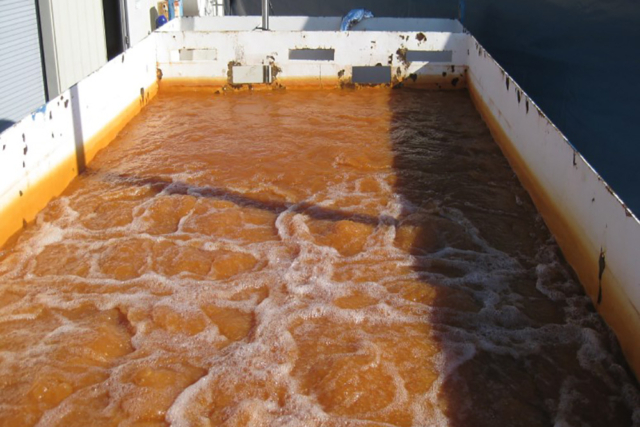 GWTT was contracted to design and install a groundwater treatment system specifically targeting iron precipitation at a former bulk oil storage facility in Fall River, MA. 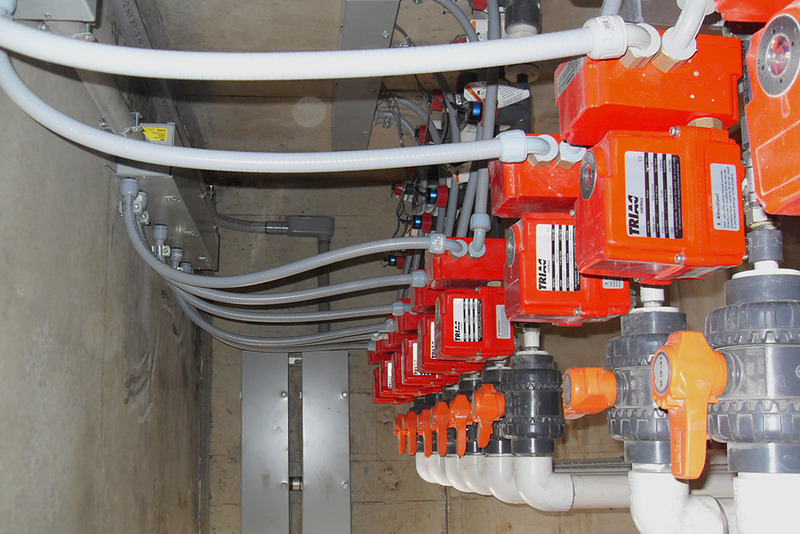 This system was implemented during the refurbishment project of the site’s current water treatment facility. 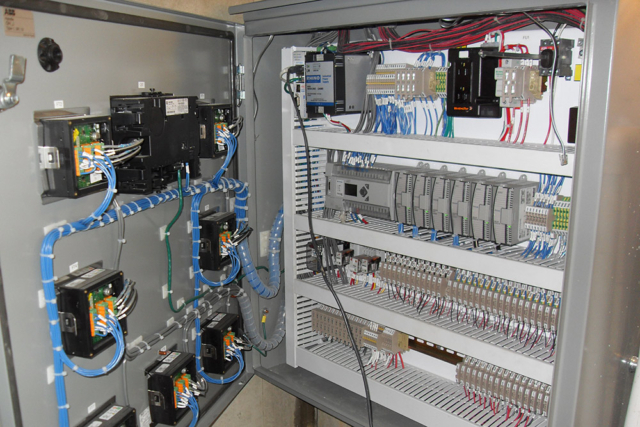 The onsite treatment system required several upgrades to allow connection to the fully automated injection gallery for discharge water. As part of the work, GWTT designed and fabricated a fully winterized temporary water treatment system capable of processing water at a rate of 50 gpm. 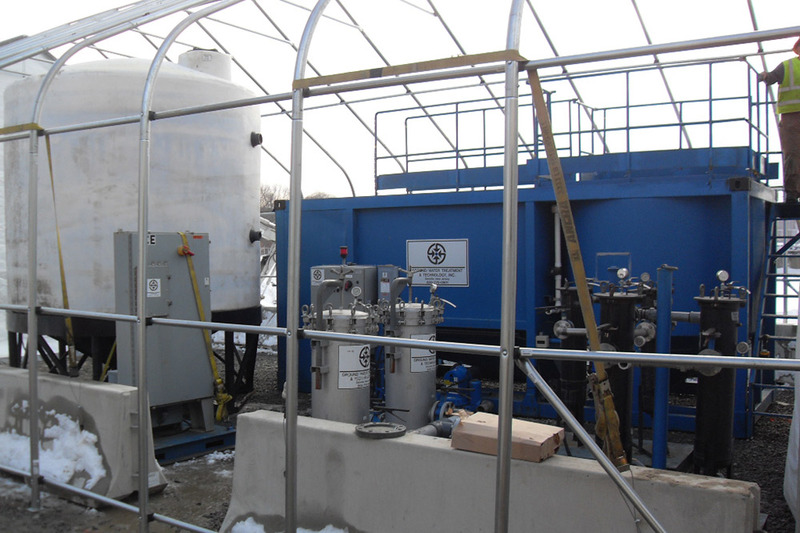 This multi-component industrial water treatment system was composed of an aeration process, chemical precipitation (coagulation/flocculation), pH adjustment, micro filtration, ultra filtration, ion exchange, sludge handling (thickening) and filter press. The connection of the discharge line to the newly installed injection wells system was also performed by GWTT. 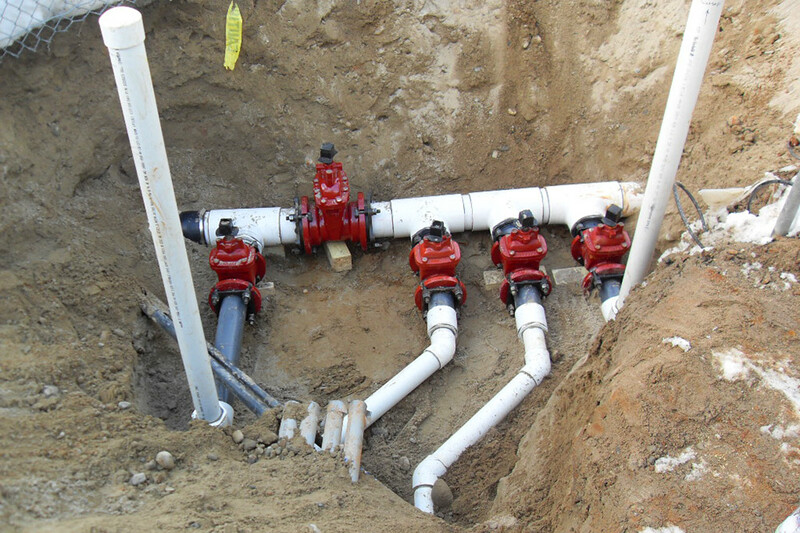 As apart of this project, GWTT also performed electrical and mechanical work related to the installation, including trenching, piping, valving, power, and control wiring of the system. The contaminant profile, treatment plan, and system design were based on the results of our initial bench testing of site water samples. The system processed more than 2.5 million gallons of treated groundwater to be re-injected into the subsurface during this project. GWTT provided continuous operation & maintenance support for the temporary iron precipitation treatment system and the infiltration system.